But what makes Byron’s story special isn’t his avid pursuit of numbers at a University more commonly known as a haven for musicians. Rather, it’s that Byron is the third-generation from his family to pursue an accounting career and to do so at Belmont. 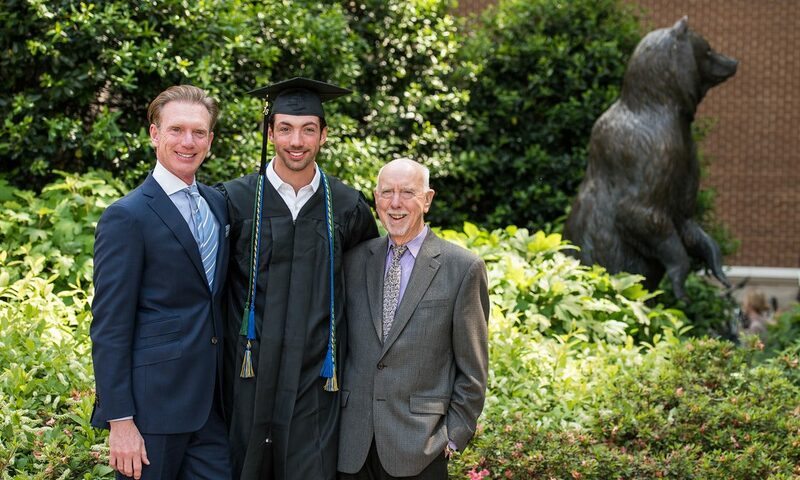 Born and raised in Brentwood, Byron is the grandson of Lawrence Glover, who taught accounting at Belmont for 35 years and has endowed scholarships in both business and accounting in his name to support undergraduate students in those areas. Byron Glover, Sr., a partner in Glover and Glover CPAs, also taught accounting on campus and received his MBA from the Jack C. Massey College of Business. Glover and Glover is a family-owned accounting firm that is based in Brentwood. Committed to helping others achieve their goals, Byron was also an active volunteer during his years at Belmont serving in DECA and on the Community Councils of several residence halls. He was also a member of the Beta Alpha Psi accounting club and the Alpha Chi honor society. Byron’s parents and both sets of grandparents were on campus to celebrate his May 7 commencement, and Byron will return to Belmont once again this fall, this time to pursue his MBA.